Place the slices of bread on a baking tray and bake for approx. 5 mins. in the centre of an oven preheated to 220°C. Remove from the oven, leave to cool. 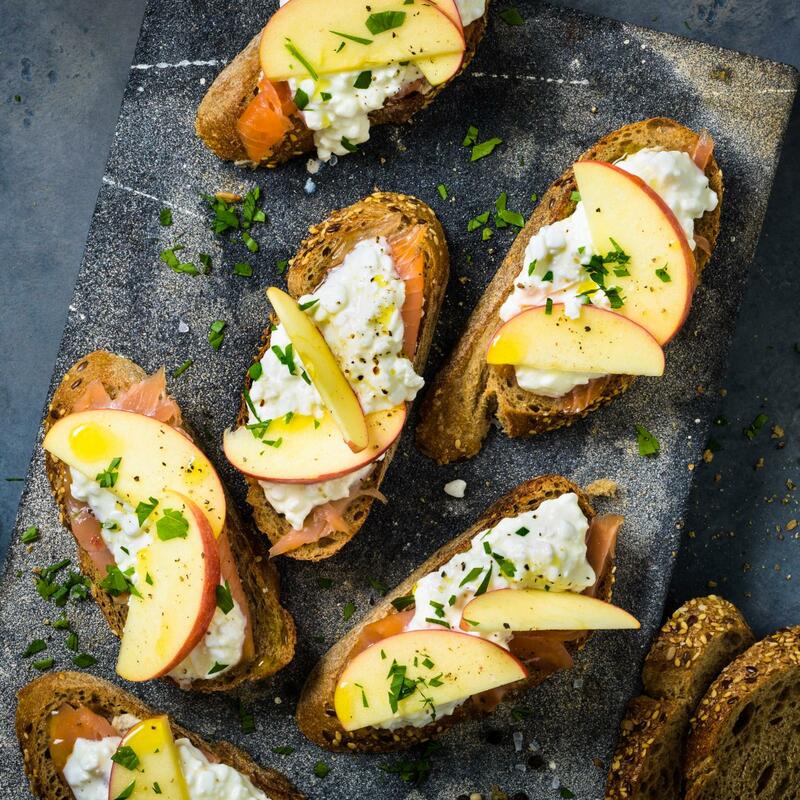 Spread the horseradish on the crostini, cover with the salmon and spoon the cottage cheese on top. Combine the lemon juice and oil in a bowl, season. Add the slices of apple to the dressing, mix, place on top of the crostini.